The VA Medical Center of Salisbury helps to serve many veterans in the area. 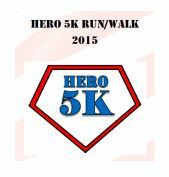 This 5k is a great chance to support your veterans and VA employees in preparation for Veteran’s Day in November. The VAMC Employees Association acknowledges that their first 5k experienced some glitches, but promise a well-organized race this year and ask your support for this important cause. There will also be a prize drawing for those who dress up, so be sure to wear your best hero costume! Throughout all VA’s systems, our employees serve each and every Veteran that walks through our doors. They are OUR Heroes. They have protected us with no questions asked. It is our mission to serve them to the best of our ability and to make sure they get the help they need. We fight for and with them in all ways mentally and physically that a Veteran has suffered. But we cannot serve them without having our own Heroes in place. Our employees dedicate their work to doing what we can for our Veterans. Some are Veterans themselves who want to help their fellow service people after their service is completed. Some are employees who could not serve but still want to help our country and our Veterans. This job is a calling, from the clinical and administrative positions, we each look forward to serving our Veterans. We strive everyday to give them any and all support necessary to help them truly come home. It takes a special person to work with our Veterans. To hear their stories of hardships and loss, to be their solid ground to stand on, that is what our employees do. We are their rock and we strive to make sure every Veteran is cared for and remembered. We will never forget their service and we will continue to improve our services and let them know we care and have not forgotten their sacrifice. Race starts at 9 AM.